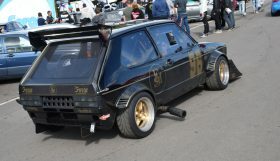 They say that the more things change the more they stay the same, and this holds true even in the ceaselessly evolving world of automotive tuning. 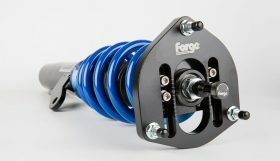 Case in point, Forge Motorsport. You’d struggle to find a firm more closely associated with the white hot heat of technological progress than the Gloucester outfit, yet it’s also aware of the value of timeless tuning. 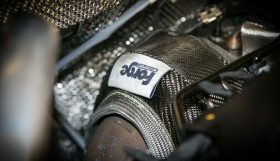 Old school tuning doesn’t come much older (or indeed much more effective) than induction work, hence why Forge has announced the second fitment option within its Hi-Flow range, an intake for the VW Group’s ubiquitous 1.4 TSI engine. Funneling more air into an engine has been one of the best ways of netting increased bhp since the internal combustion motor first barked into life, yet it’s one which Forge Motorsport has recently turned its considerable resources to in earnest, hence its all new Hi-Flow range of carbon fibre inlet tracts. 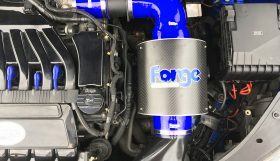 The second product to join the Hi-Flow range, Forge’s latest offering promises builds upon the firm’s years of experience fettling small capacity VW engines, all wrapped up with an intricate knowledge of air flow rates and how to maximise the performance advantages offered by high end composite materials. 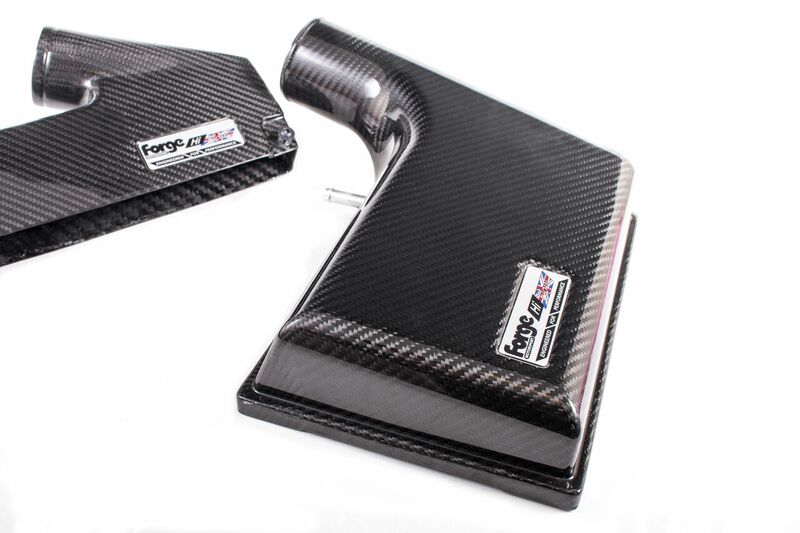 The core of the new Forge Hi-Flow kit comprises an airbox and front air scoop, both rendered in high grade carbon fibre. 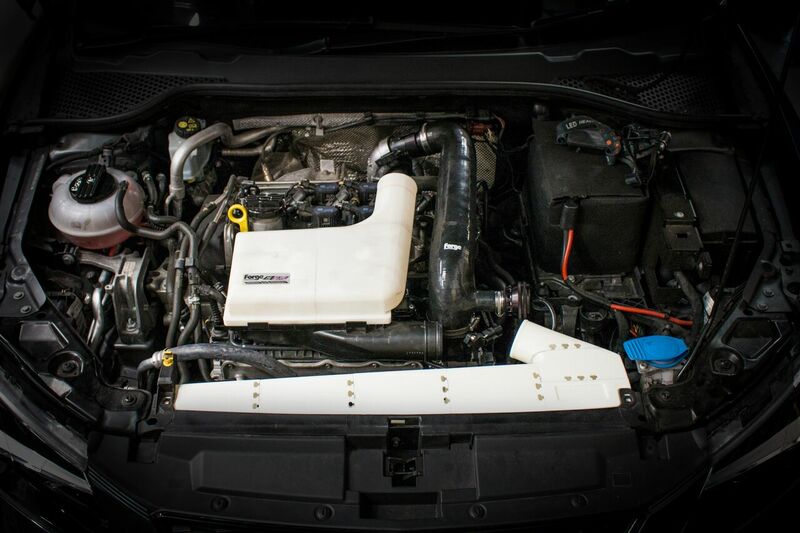 These were developed as a direct result of an extensive customer consultation process, one which ascertained that the majority of TSI owners wanted an aftermarket hardware which worked in conjunction with the OEM VW airbox. 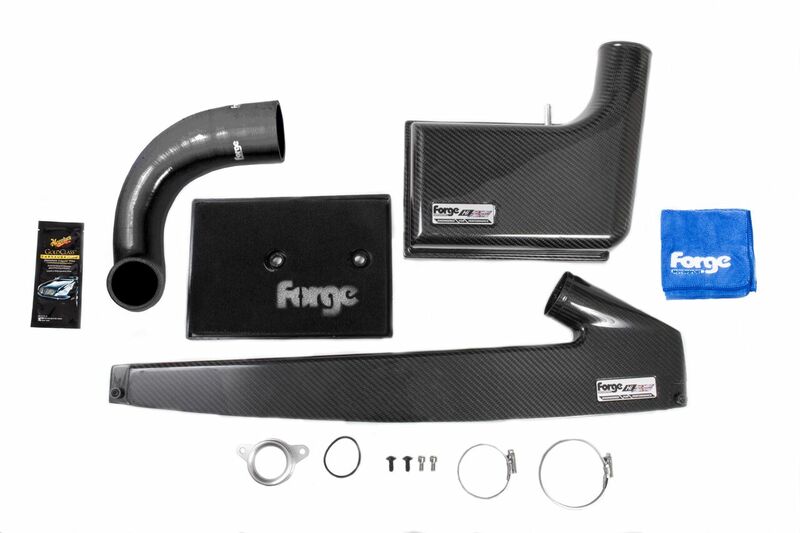 The result is a kit of parts which effectively work with the standard VW airbox, with the most significant component being the carbon fibre airbox lid and imposing looking front scoop, the latter also rendered in carbon fibre. 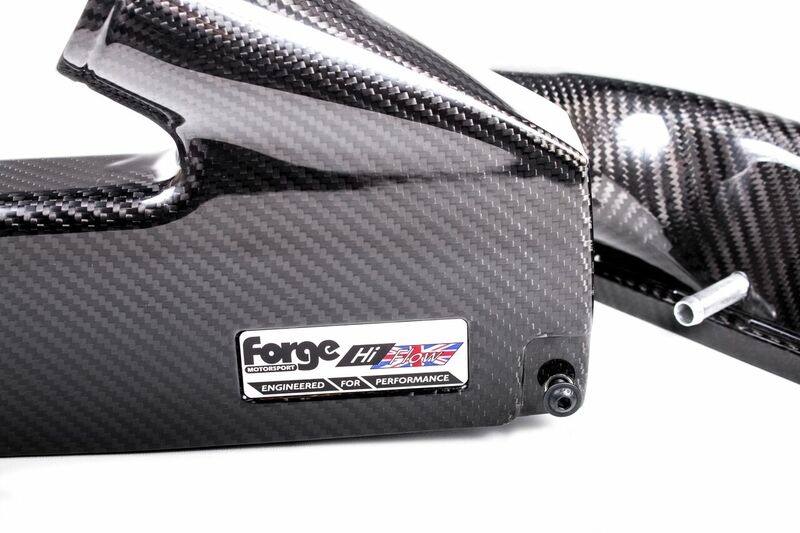 Evidence of Forge’s commitment to its R&D process can be seen in the manner it approached rendering its Hi-Flow models in carbon fibre, with the firm turning to another company, one with extensive experience of working with this advanced (not to mention specialist) composites. The result was an altogether more sophisticated method of production employed in the construction of all Forge Hi-Flow intakes, Autoclave. This involves This involves the use of up to 10 bar of pressure that is blown into a 100% billet mould to force it out. This high amount of pressure ensures the material is fully in contact with the surface of the mould, which in turn creates a weave that’s tight, solid, strong and completely free from imperfections. 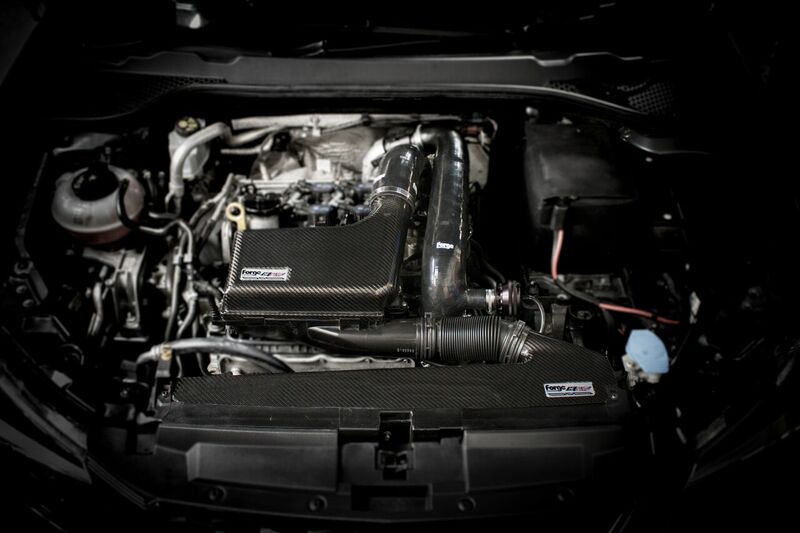 Not only is carbon fibre both lightweight and resistant to the kind of temperatures generated by all internal combustion engines, it’s impossibly cool, a fine addition to the engine bay of any VW. More to the point, Forge’s Hi-Flow intakes form a free-flowing inlet tract, one which has been specifically shaped to funnel large volumes of cool air into the engine at an immense range of knots and with minimal restriction. 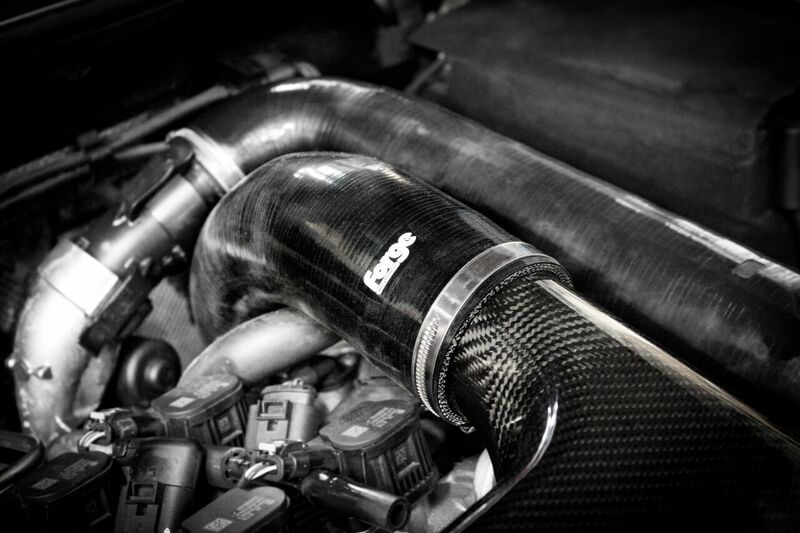 The carbon parts are twinned with a less visually spectacular but no less significant part, a specially created Hi-Flow intake hose that mates up to the airbox and therefore totally eliminates the highly restrictive plastic inlet pipe VW saw fit to use. The Forge hose sports a smooth bore multi-ply construction shown to increase airflow, improve efficiency and performance, meaning it’s the perfect partner to the high-end carbon kit mentioned above. The house can be ordered in red, blue or black, and comes supplied with all necessary clamps and fixings. Forge’s Hi-Flow kit also includes a specially selected Pipercross filter, one with excellent filtration properties designed to protect the 1.4TSI from inhaling damaging particles, debris and other detritus. Pipercross have over a quarter of a century of experience designed and selling state of the art filters for road and competition machinery of all shapes and sizes, and the multi-layer foam filter selected for this application has been proven to flow a massive 30% more air than the stock VW equivalent. 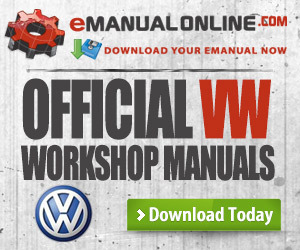 The comprehensive design of the kit means that it’s far more than a mere visual upgrade over the standard VW part, it’s been proven to provide genuine increases in performance, and it’s all down to the ‘ram air’ effect it generates. 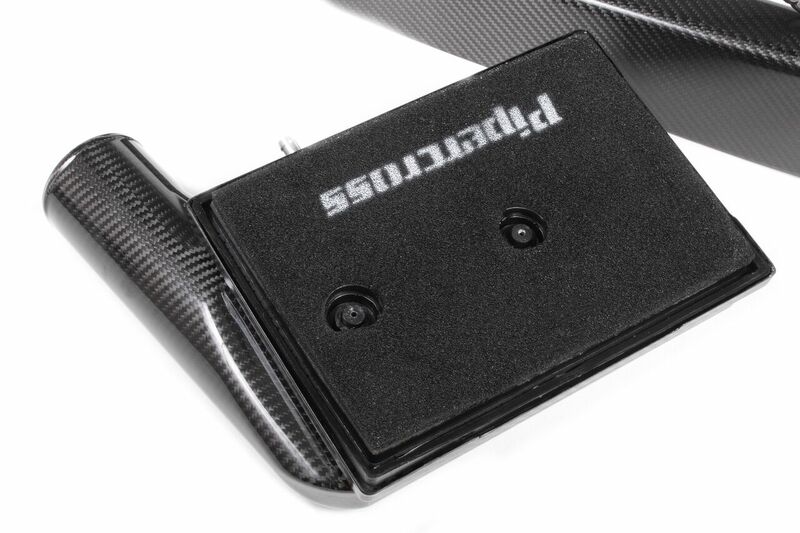 This ensures that only atmospheric air from outside the engine bay is inhaled by the 1.4, negating power loss from warmer, less oxygen rich air which might otherwise be ingested. 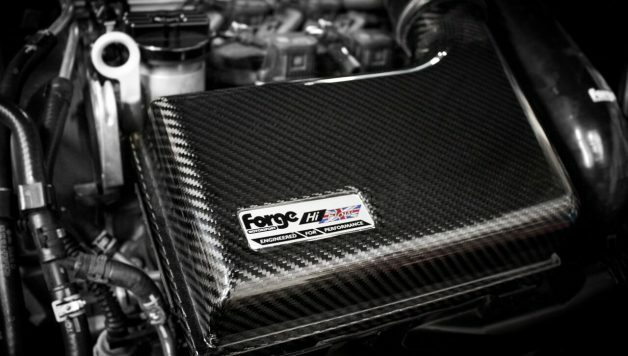 Extensive dyno testing on Forge’s own development car has seen impressive hikes in performance, as much as 10 peak wheel horsepower over the stock airbox and filter, with even more potentially available to those owners running Stage 2 tuned vehicles. 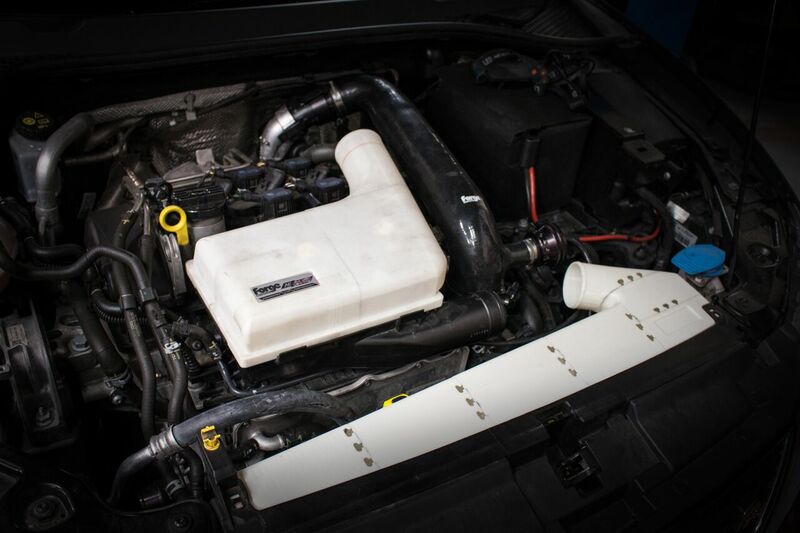 Whilst power gains may vary depending on the modifications and level of tune of specific cars, this kit will offer a significant improvement over the original air box. 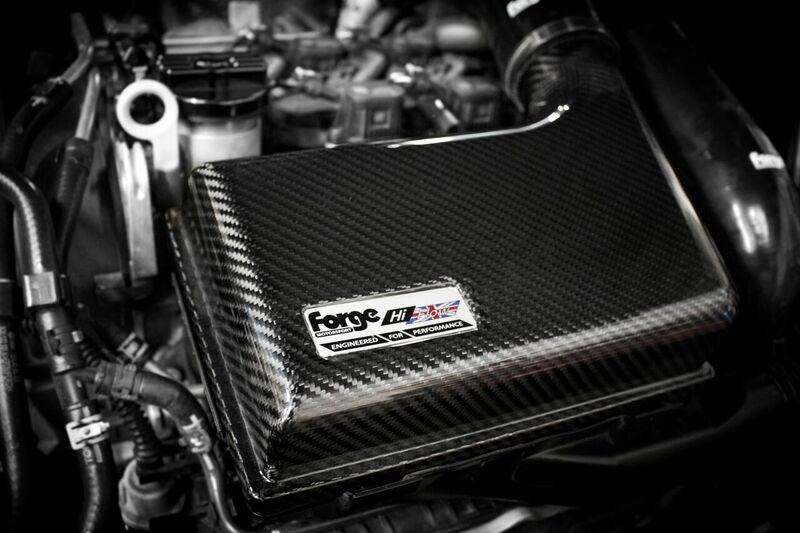 A proven product from a respected tuner, Forge’s latest Hi-Flow intake is a must-fit for anyone serious about power tuning. 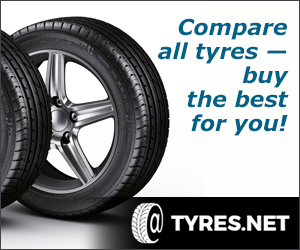 Not only is it beautifully designed and competitive priced, it can form the perfect foundation stone for more advanced tuning further down the line.